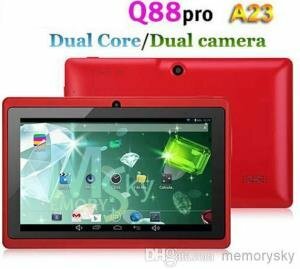 The Cherry Mobile Razor is another cheap Android smartphone offering some decent specification for an affordable price. It will compete head on with other cheap Android phones in the country which are under the 10,000 price margin. But Cherry Mobile also released a campaign comparing the Cherry Mobile Razor to iPhone 5 as a cheaper alternative. See more details below. The Cherry Mobile Razor is powered by a Quad Core processor clocked at 1.2GHz, paired with 1GB of RAM and a 4GB of internal storage. It has a nice 4.5-inch qHD IPS display with 245 pixels per inch density, and is protected by a Dragon Trail Glass, somewhat similar to Corning’s Gorilla Glass. It has a PowerVR SGX 544MP for its GPU, an 8 megapixel rear facing camera paired with a 2 megapixel front facing camera, and features some basic connectivity and network options, including HSPA+ connection speed. The Cherry Mobile Razor also boast that it’s one of the thinnest phone in the market, measuring to 7.7mm thick only. 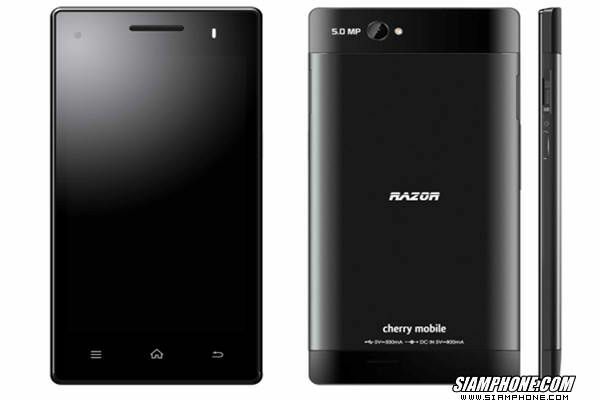 Based on the specs alone, the Cherry Mobile Razor is definitely a mid-range to high end phone. But you might not believe it when Cherry Mobile compared its specs with the iPhone 5. See the image below. Now if I were to ask you, do you think the Cherry Mobile Razor stands a chance against the giant – Apple iPhone 5? Do you think that the CM Razor will perform better or faster than the later? If you look only at the image above and immediately concluded that the CM Razor is the winner, then you haven’t done your research carefully and you might be misinformed. It’s true that the Cherry Mobile have some advantages over the iPhone 5 in terms of specs, like quad core processor, bigger display (but not better quality), same camera sensor size, same memory size, a slightly larger battery capacity, and a way cheaper price than the iPhone 5. But the iPhone 5 has advantages over the Cherry Mobile Razor as well, like superior built quality and craftsmanship, better after sales support, tons of accessories to choose from, significantly larger internal storage (which is very important), better display quality (even if its 0.5-inch smaller), and many more (not to mention the bragging rights and plus social factor). For some price is a determining factor, but there are other people who are willing to pay the price for something better, and for something they would not regret. I’m not an Apple fanboy, in fact I would rather buy an Android phone, and I do have both. But I would put user experience and satisfaction above all. Don’t get me wrong, the Cherry Mobile Razor is not that bad at all. It’s definitely a good phone with good specs and good price. If you are on a budget, you will only need to compare it with other local phones who are also under the 10K price margin, like CloudFone Thrill 450q, MyPhone A919i Duo, Starmobile, and other Cherry Mobile phones. But comparing it with the giants like iPhone 5 or Galaxy S3, Galaxy S4 or Note II is a mismatch.